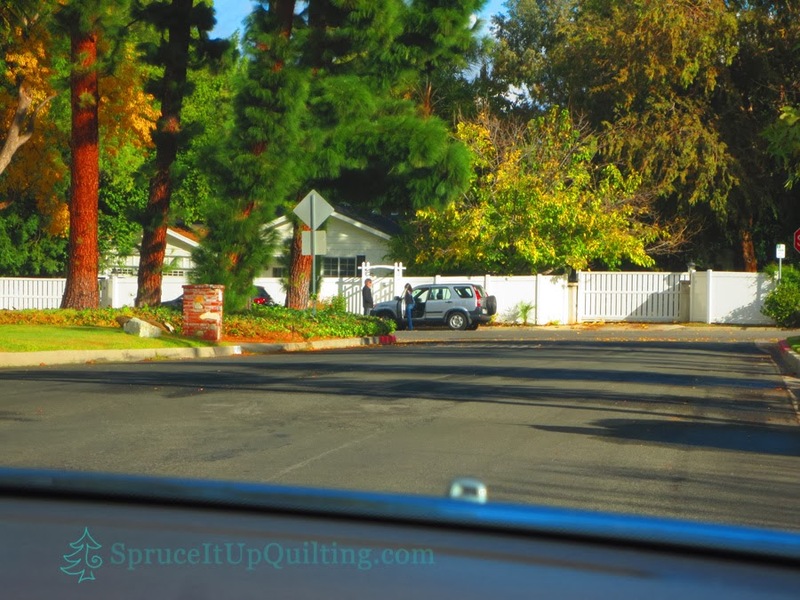 Spruce It Up Quilting: It's good to be back again! In the sewing room that is! 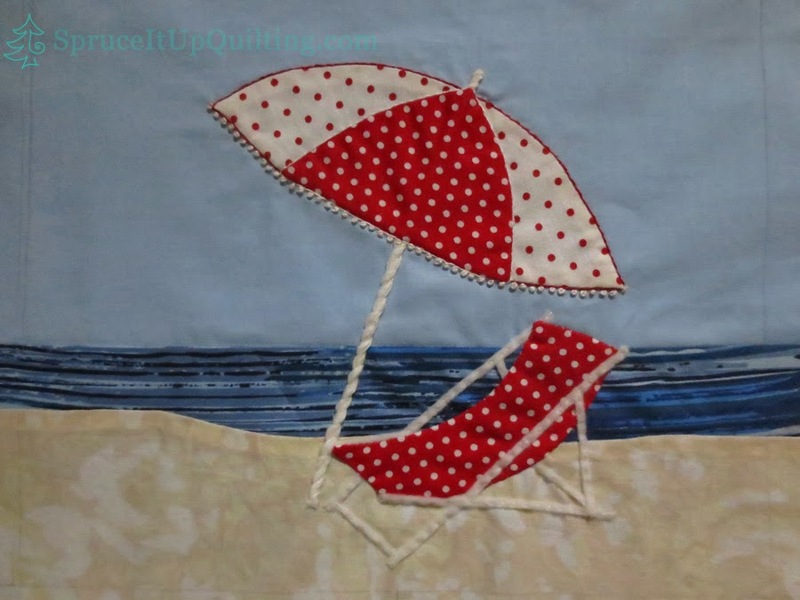 Yes I must say I feel a bit more relaxed as I sit and sew; whether by machine or by hand, it matters not! Just creating makes me happy. 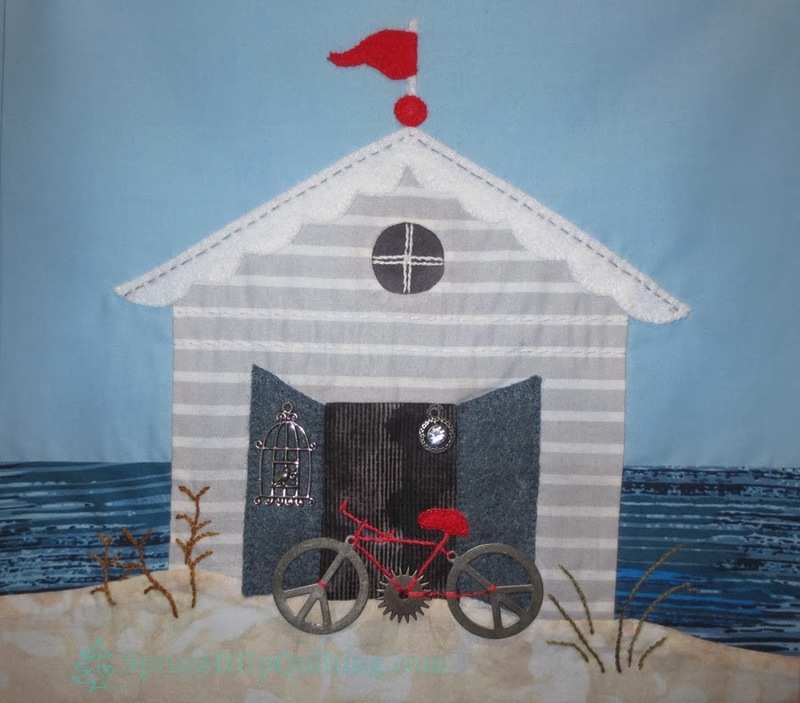 Today I bring you finished blocks from the Deauville to Cape Cod Quilt Mystere, a wonderful design by Roxane of Scrap Quilt and Stitch. I chose some earring findings for the wheels of the bicycle, memories of the peace movement in the 60s and 70s. I don't think I'm done with Block no 3... it's missing something and I haven't quite decided what to add to it yet. 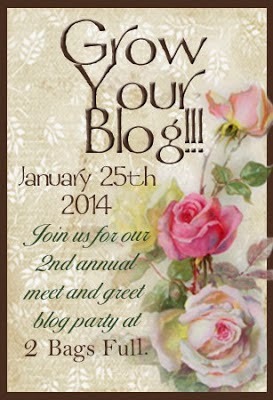 I've seen some wonderful examples on Roxane's blog... do go see them! 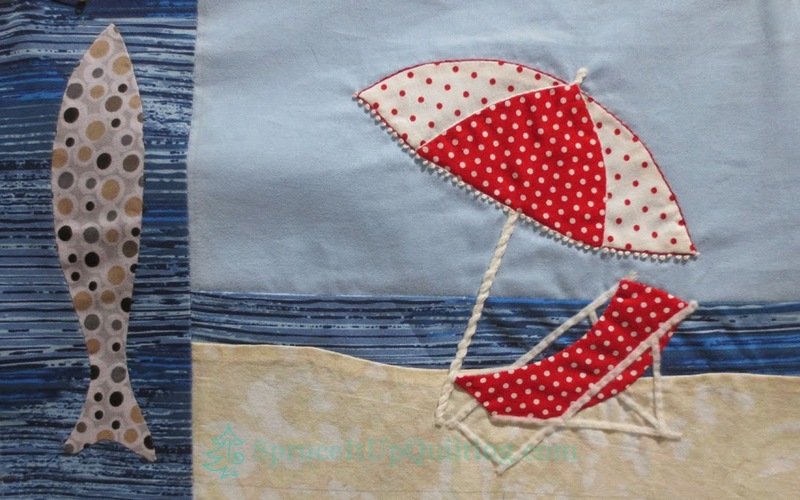 I particularly love what L'Atelier de Fille Ainee did with hers... love that beach bag, book, glasses, flip flop! SOOO creative!! Her blocks are beautiful! 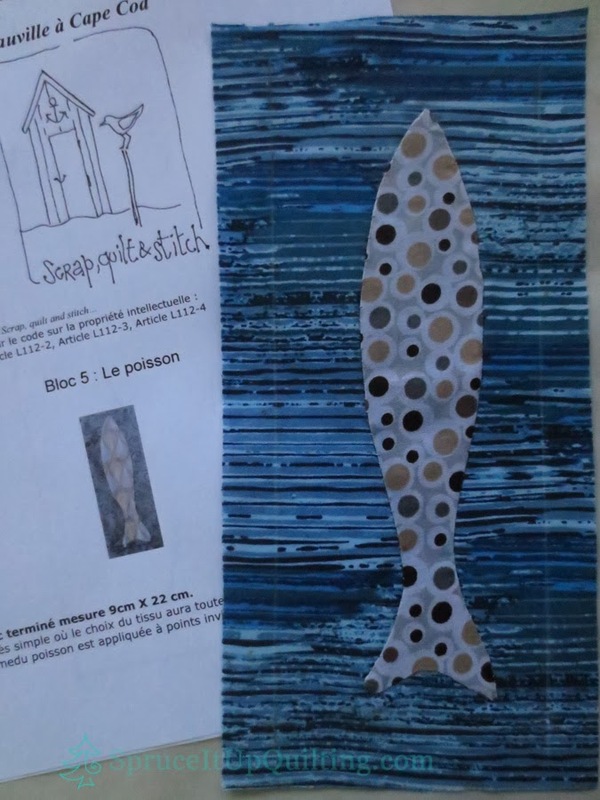 I decided to go ahead and sew Block 5 and 3 together as they appear on the diagram provided with the instructions. These blocks are located in the lower half of the quilt. When I am reunited with my supplies once the move is done, I will add a jewel for the eye of the fish. Roxane chose to give us block no 5 before no 4 because it was a simple one quickly made up as not to interfere the holidays. Very clever and considerate of her! As for the sale of the house, the listing went up on Friday afternoon close to 4 pm; by 5:30, someone had called to make an appointment to visit Saturday! We were thrilled! Then Saturday morning while having breakfast, the sign went up! We couldn't believe how quickly that company moves... all for the better! It has produces several phone calls already. In the early afternoon, we went for a drive while our realtor showed the house and in our travels, we happened to be following this man and his dog. Had to laugh at how this dog was just hanging there in the space between the mirror and the door. 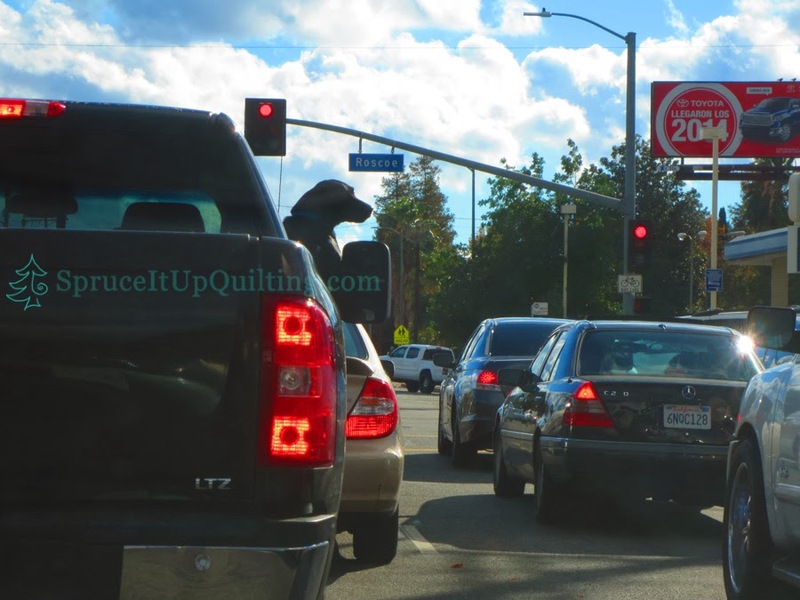 Here he is watching two men on bicycles on the other side of the cars in the right lane. We had just gone past a large park when he quickly withdrew and found his toy which he dropped in the driver's lap! He knew what he wanted! Too funny! It was just a short time later when our realtor called us to tell us the appointment was over and the visitor had left with his agent. Driving home, we spotted them outside our neighbor's house still talking; this would have been impossible to see from our house. We hung back until they left not wanting to interfere. It's stressful to sell a home, the waiting, the hopes, the dreams all produce their own energy. I choose to release my stress with sewing. It's always worked wonders for me... you might want to give it a try someday!